With the new tax bill signed into law, you may be wondering how this will impact your tax returns. While some employees have already seen changes in their pay check, the new law will not affect the tax returns you file this year. Nevertheless, with Tax Day coming up on April 17, there some important things that you will want to keep in mind. To file your taxes this year, you will need to collect all your pertinent documents, including your W-2 and 1099 forms. Employers are required to send you these documents by January 31. If you haven’t received these documents by early February, you should contact your employer. To ensure that you have access to your tax returns as soon as possible, the IRS recommends that you: (1) receive your refund via direct deposit and (2) file electronically. There are a wide variety of services, such as TurboTax and H&R Block, that easily allow you to receive your refund by direct deposit and file electronically. While Tax Day typically takes place on April 15, you will have two extra days to file your taxes this year. 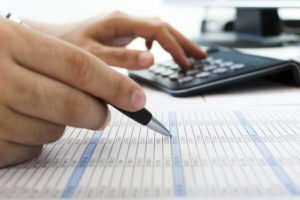 Additional time is provided this year because April 15 falls on a Sunday and because April 16 marks Emancipation Day—a holiday celebrated in Washington, D.C.
During tax season, thieves use a variety of different techniques to defraud people of their money. For example, thieves will commonly use a stolen Social Security number to file a fraudulent tax return and receive the associated refund. The best way to ensure that you are not a victim of a tax scam is to file your tax returns as early as you can. Additionally, you should be cautious when receiving communications from the IRS alleging that you owe the government money. The IRS never reaches out to individuals through unsolicited communications. If you earned less than $66,000 in 2017, you might be able to file your taxes free of charge. To see how you can file for free, you should check the tools and apps provided by the IRS. While individuals who made over $66,000 can still file for free, they will need to use the forms provided by the IRS. If you file your taxes electronically and made the direct deposit selection, you will likely receive your refund within about three weeks. To check the status of your tax refund, you can use the tracking services provided by the IRS2Go App. If you realize that you owe the IRS money, but cannot afford to pay, don’t panic. The IRS may be able to place you on a payment plan, resolve your debt for less than the amount owed, or defer your payments until a later date. The IRS suggests that you hold onto your tax returns for at least three years since this is often the period of time examined during an audit. Nevertheless, it is extremely rare for the IRS to audit your tax returns. Since your taxes are susceptible to change, you should review your W-4 form at the beginning of each new year. This review is particularly important to do this year considering the new tax law. If you would like to speak with an experienced tax attorney about filing your tax returns, call Sodowsky Law Firm, PC at (703) 457-1563.